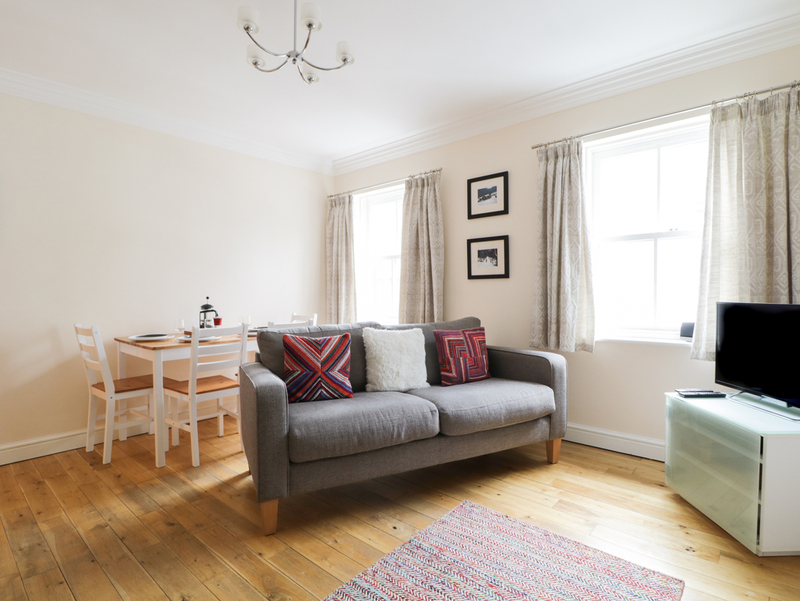 Siskin is a modern, light and airy second floor apartment. 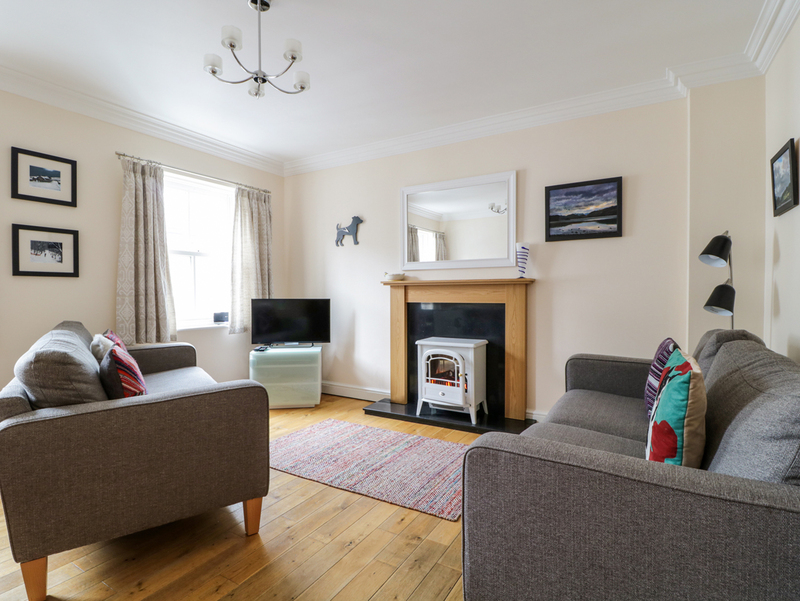 Located in the centre of the quaint market town of Keswick in the North of the Lake District. The apartment sleeps 4 people in 1 x double bedroom and 1 x twin bedroom. It has a bathroom with shower over bath, basin and WC, kitchen and lounge with dining area. Keswick offers holidaymakers a fantastic variety of amenities which include The Theatre by the Lake, museums, galleries, parks and a golf course. The town is full of charm and character along with scenery which will take your breath away. Siskin is ideal for families with children or couples who will appreciate the central base, close proximity of amenities and the surrounding countryside. All second floor. 1 x king size. 1 x twin. Bathroom with shower over bath, basin and WC. Kitchen. Sitting room with electric word burner effect fire and dining area. Gas central heating. Electric oven and ceramic hob, microwave, fridge with ice box, washer / dryer, TV, DVD, WiFi, selection of books. Fuel and power inc. in rent. Bed linen and towels inc. in the rent. Travel cot available and booster seat for dining. 1 x Private parking space. No pets and no smoking. Shops, pubs and restaurants 1 min walk.